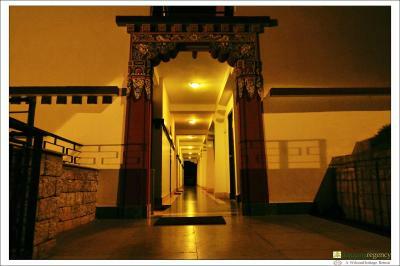 Lock in a great price for WelcomHeritage Denzong Regency – rated 8.3 by recent guests! Everything about the hotel was fantastic....location, service , maintenance, staff ...nothing to complain. Absolute value for money. Food. And the weather when we went that didn't had anything to do with the property. 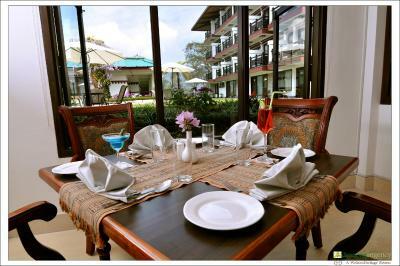 We loved breakfast meal's options ..the room's decor..the flora around the property. The restaurant staff was very helpful and attentive. Apart from this, Mr. PREM from Front Desk team did his best to attend us. 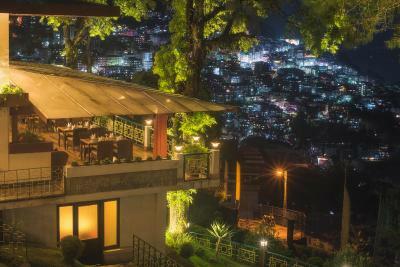 The staff is very humble and I especially would like to mention a staff named Ujjwal, who was very polite to the guest and catering every request in very nicely and up to the mark. Well done Ujjwal and keep it up. I would like to Thank all hotel staff. The staff is super friendly and helpful. The checkin and checkout was fast. The restaurant staff is all smiles at all times and the food is delicious. The chef at the omelette counter is awesome at customizing (well-done egg white and cheese done to perfection). The housekeeping and front desk staff is always smiling and friendly too. The room was beautiful and the bathroom was super clean - I loved how the shower was nicely cordoned off with a glass partition to ensure the whole bathroom didn’t get soaked after a shower. Finally the property is close to M G road which is the only place that stays open and bustling after about 5 pm, so that was great - we cld just walk there and take a taxi back. Overall just a very pleasant stay mostly thanks to the staff. Everything was fantabulous fantastic especially the location and it’s also worth staying there. I must recommend this hotel for everyone & to those also who want to spend some leisure time other than sight seeing. The room was nice and spacious (executive suite). 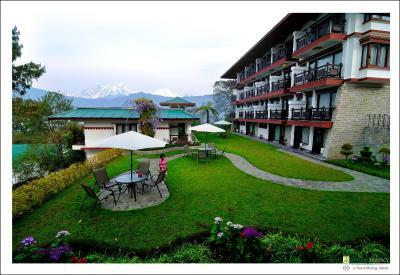 Balcony has a lovely view of the Kanchenjunga. Staff is polite. Overall a nice hotel. Within the room you have all facilities of a 5-star level. WelcomHeritage Denzong Regency This rating is a reflection of how the property compares to the industry standard when it comes to price, facilities and services available. It's based on a self-evaluation by the property. Use this rating to help choose your stay! One of our top picks in Gangtok.WelcomHeritage Denzong Regency offers a peaceful retreat with panoramic views of the Kanchenjunga Mountains. 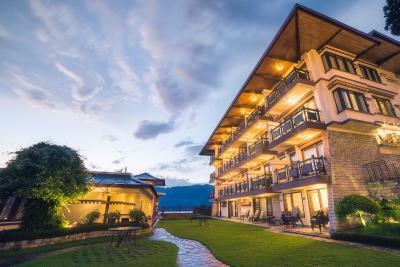 The property features a restaurant, free Wi-Fi and free parking. 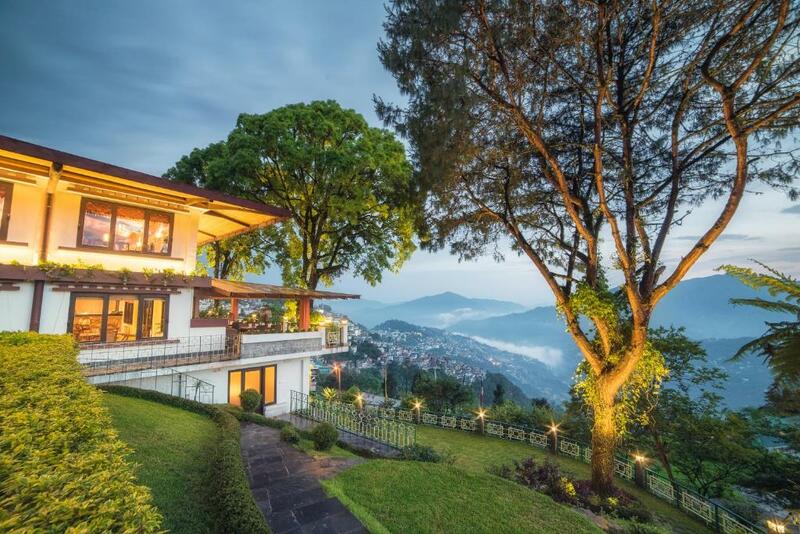 The property is 1,650 feet from M G Marg, the main city center. Elegant rooms come with cozy wooden interiors and warm lighting. All the well-appointed rooms have a flat-screen TV, seating area and mini-bar. The attached bathroom has either a bathtub or shower facilities. 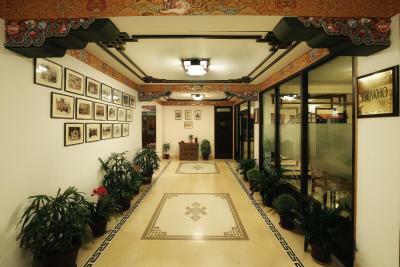 Guests can play carom or mah-jongg in the games room. Entertainment options for children are also available. Staff at the tour desk can assist with sightseeing and travel arrangements. 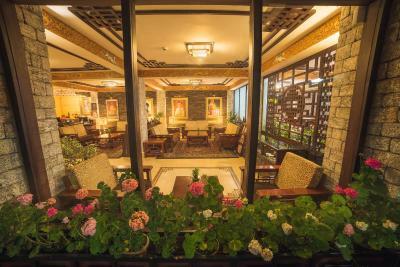 Mayal & Gyakho restaurant serves a fine selection of Indian, continental and oriental dishes. In-room dining options are possible with room service. WelcomHeritage Denzong Regency is 81 mi from Bagdogra Airport. 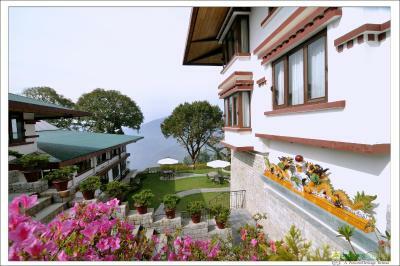 This property also has one of the top-rated locations in Gangtok! Guests are happier about it compared to other properties in the area. When would you like to stay at WelcomHeritage Denzong Regency? Room features a flat-screen TV, seating area and private bathroom. Offering views of the mountains, this spacious suite features a flat-screen TV, seating area and private bathroom. 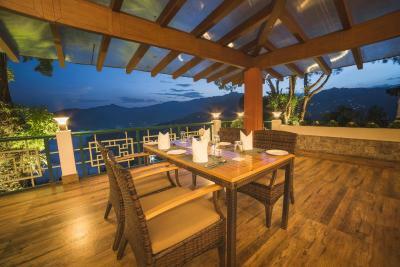 Offering spacious interiors, these suite are also ideally located facing Mt. Kanchenjunga. They come with private balconies. House Rules WelcomHeritage Denzong Regency takes special requests – add in the next step! WelcomHeritage Denzong Regency accepts these cards and reserves the right to temporarily hold an amount prior to arrival. Food is not at all spicy, even on request they make no spicy food. The hospitality and the location of the resort. Had dinner one day from the hotel - that left much to be desired for. 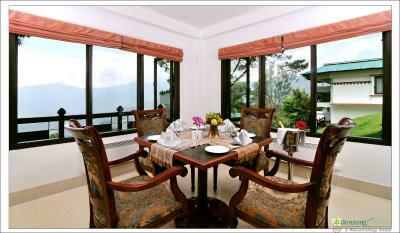 Provided the weather is good, The executive suite gives a lovely view of Mt. Kanchenjunga, - we were lucky we caught the origin glow of the sunrise hitting the peak on one day. The beds were excellent - firm mattresses. Buffet b'fast spread was pretty filling and good . Special mention to the chef who whipped up a wonderful omelette with all the works ! 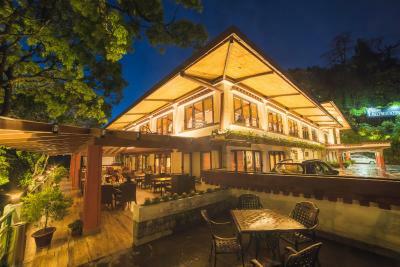 Location of the property - great - a little away from the hustle bustle of the city but still close enough to MG Marg. Staff are also very friendly and helpful. 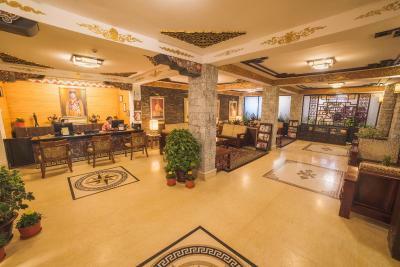 The tone of front desk staff, particularly of the manager, needs to be customer friendly. She needs to realize that her primary role is to enhance the "stay" experience of hotel's guests by putting to use every possible fair means. 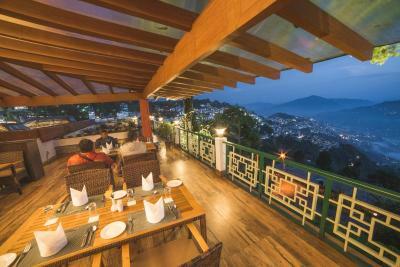 For example, in our case, originally I and my wife had booked tickets of a flight that goes directly to Sikkim at Pakyong Airport. However our flight was canceled at last minute by Airline and we had to change our travel plan which resulted in loss of money as well as one day of our vacation. 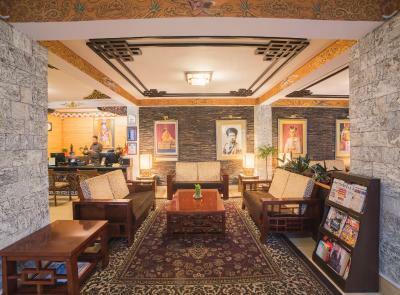 Later upon reaching the hotel, we realized from the hotel's front desk staff that the flight operations to their city's airport (Pakyong) are affected most of the times due to bad weather. Now, if they already possessed this crucial piece of knowledge regarding their city's newly opened airport, then they could have at least passed on this info as caution to their guests in advance. This would help their guests to plan their travel to the hotel more judiously. Alas..I struggled to convey this point to the manager who didn't wish to acknowledge that it played such a big role in our trip's travel plans. Service was quite slow, and buffet was not refilled fast enough. Noise from the neighbouring construction, we weren't even informed about it. Expensive. There were rooms with a better view available but they kept to our request of keeping the rooms close to each other. The wifi was really weak and the cell network in our room wasn’t strong either. Also, there’s a sofa bed in some rooms (like the one I got) that didn’t seem very clean. The beds themselves were clean. Also, the taxi services the hotel offers are exorbitant, but these were the only issues there. Everything else about the property is excellent.